Are you looking for an anti-slip solution that is easy to clean and requires minimal maintenance? Sure-Foot’s marble heavy-duty stair treads are the answer! 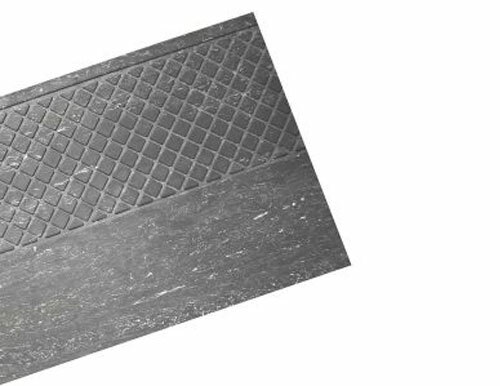 With a 12.25″ diamond pattern, these stair treads add an increased level of safety to your building where you’re expecting heavy pedestrian foot traffic. And their unique grey marble design won’t compromise the aesthetics of your stairways! As economical as they are attractive, heavy duty stair treads from sure foot are a great way to add safety and durability in any building. Our rubber stair treads lessen the impact of foot traffic and are perfect for commercial or industrial buildings. Sure-Foot Industries is a leader in safety and anti-slip flooring, so we understand how to prevent unnecessary slips and falls. Contact us or request an product sample today to learn which rubber stair treads solution is right for you!